George Fry was established in 1962 as an independent family business, offering service and repairs on Radio and Television. George, his wife Phyllis, and his son Barrie ran the business based on traditional family values with friendly, efficient and knowledgeable service. Soon the business started to sell new items and trading on its reputation the business moved to its current location over thirty years ago previously occupied by local brewers Eldridge Pope. Barrie Fry ran the business after the death of George until 1998 when he passed controls to Adrian his son and Trina his daughter. They now run the business with the help of their valued staff, many who have been with them for more than 20 years. 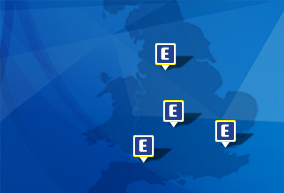 With over 100 years combines experience our team can provide you with unparralled levels of knowledge and service. 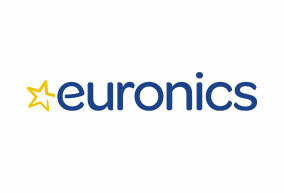 Your local Euronics dealer offers Competitive prices, large choice, expert knowledge, full installation service and Free Local Delivery on many large items. We can also dispose of your old appliance at the same time. 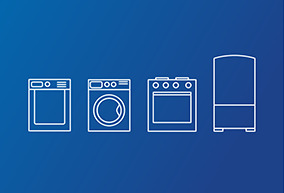 As well as sales we offer a full service and repair department, and carry out repairs on kitchen appliances and consumer electronics, both in store and in customers own homes. Waste no more time, make your way to George Fry. George Fry Ltd	will use this area to update our customers on what’s happening in the store as well as fantastic manufacturer offers.